Places without human interference delight doubly. 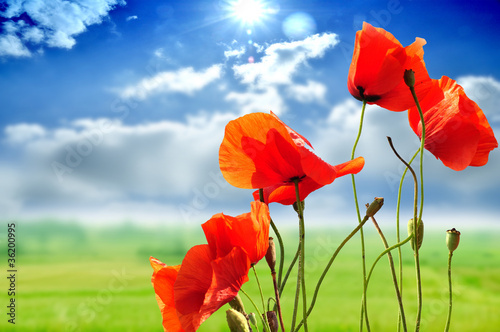 Don’t believe in miracles – look at them and create them by decorating your own flat with a beautiful photo wallpaper with a valley of field poppies. Take pride in the appeal of wild greenery. A composition in natural colours will be a perfect addition to daily room.